As much as I believe in responsible shopping, conscious consumerism and being thoughtful about personal style, I still really enjoy a new season and all the dreaming and outfit scheming that comes along with it. I just try to keep it a bit more realistic than I used to. I also love sharing wish list posts because they work on two levels. On one hand they allow me to dream a bit and play around with ideas instead of always sticking to the confines of what’s already in front of me but on the other hand they force me to plan and get my thoughts organized so I stay on track. Win, win! Before writing this post I went back and took a look at my wish lists from Winter 2015, Spring 2016 and Fall 2016. I was shocked and delighted by how many of those items are now heroes in my wardrobe. Seeing how they’ve translated into my everyday life totally reaffirmed that wish lists are working for me. 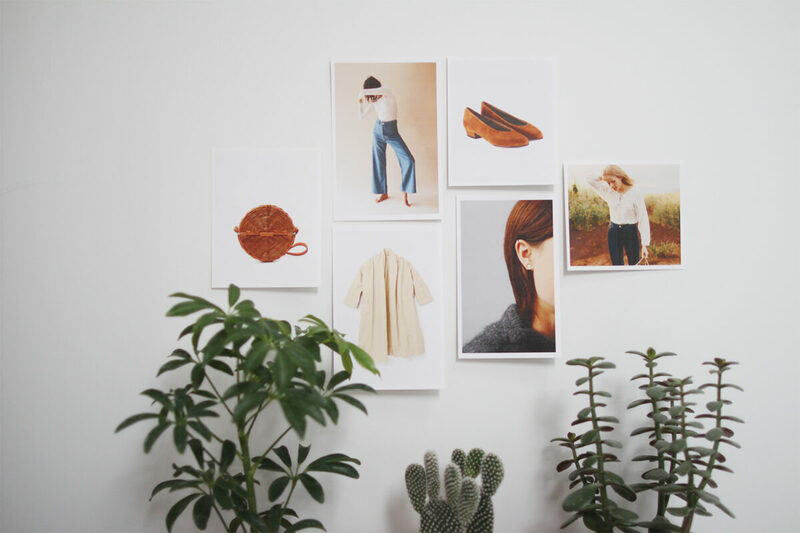 This also reinforced the fact that a little forethought can lead to much more efficiency and usefulness, especially when it comes to something as malleable as our closets. How to create a useful Wish List. 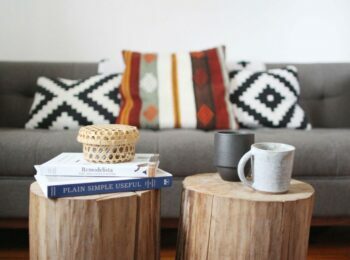 5 questions to ask before you buy something. My Spring 2017 Wish List + the 6 items on it. Download the FREE Printable Wish List. Before you create your wish list consider Defining Your Personal Style or identifying some Shopping Triggers if you’re not already familiar with either of those. 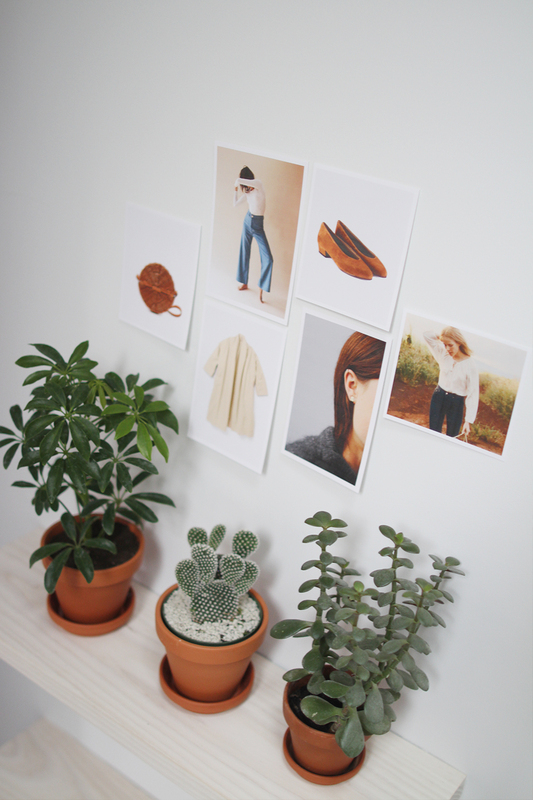 You may also want to take a moment to Prep Your Spring Closet too. This will be a much better place to start than simply listing all the things you think you want or need. In fact, not knowing what you need or having a clear sense of what your style is can be a major catalyst for impulse shopping and overspending. Take my word for it! These are a few of the things I kept in mind when planning for Spring and building my wish list. MAIN GOAL | One of the main goals I have for this Spring season is to wear the pieces I already have and love even more. I’m feeling very fortunate to be in the place I’m at with my style and closet but it’s taken literally years of consideration and editing to get to this point. PERSONAL STYLE GROOVE | I’m also finally in a really good groove with my personal style these days (or at least I think so anyway). I know what works for me (and what doesn’t) and I’m really starting to embrace some tranquility and contentment in my style. By this I mean I don’t feel the need to try new things or different styles as much as I used to. I’d much rather wear a look that feels 100% ‘me’ over something that’s on trend. NO MORE BLACK | I’ve also implemented a hiatus on adding anymore black to my closet. It’s still my fave but I’m ready to lighten up and soften the palette for Spring! I might even try pink! SHORT LIST | My Spring wish list is only 6 items long and while I doubt I’ll manage to bring them all home I know each one would be well worn and appreciated within my existing closet. 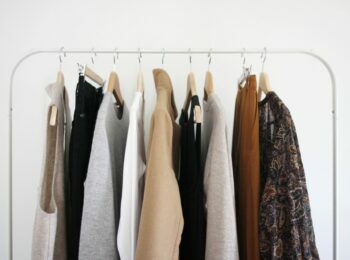 I’ve also focused on true Spring pieces that I can wear in the next 3 months. We’ll get to the dresses and shorts next season since Summer in Ontario is another story all together! Full disclosure: I’ve already done a bit of Spring shopping but aside from a couple of items most things didn’t work out and a few were for my Loungewear capsule (update coming March 20th!). Just so ya know! After wearing mostly black and grey for months I’m really craving some soft, cloudy, feminine tones. I haven’t landed on whether a tunic length or a shorter length is what I’m most drawn to but I know a floaty, simple, off white or ivory top would fill a considerable gap in my Spring closet. The tunic length would be perfect to toss on over black skinnies or jeans and the shorter, tuckable option would be perfect in either my Kamm or Florence pants. I might have to find a reason for both! The main ‘must-have’ for this piece is sleeves! 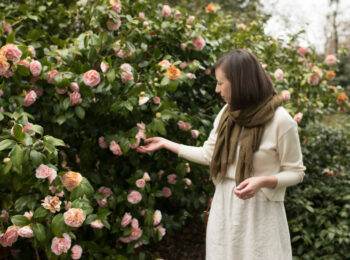 HARPER TUNIC | Ah, the Harper Tunic, another forever classic by ES. I’ve had this beauty in my cart more than a few times. It might end up on my Summer wishlist since the short sleeves and linen are perhaps a little too light for Spring here. LLOYD (not shown) | I also love the cut of this cropped t-shirt by LLOYD! Their whole Spring line is lovely. | $110 CAD | Made in Vancouver. This item has been on my wishlist for ages, in fact, it was on my Spring Wish List last year! So that persistence alone tells me it’s probably a piece I’ll get a lot of use out of. I love my classic trench, it’s even going to be on the blog Friday, but after several years of use it’s been feeling a little bit preppier than my true style. I’ve tried taking belts off and wearing it open but it still reads a little bit more conventional than what I’m going for these days. I don’t think I’ll let it go any time soon but I would like to see how much it gets worn once I have an option that feels 100% in line with my current style. 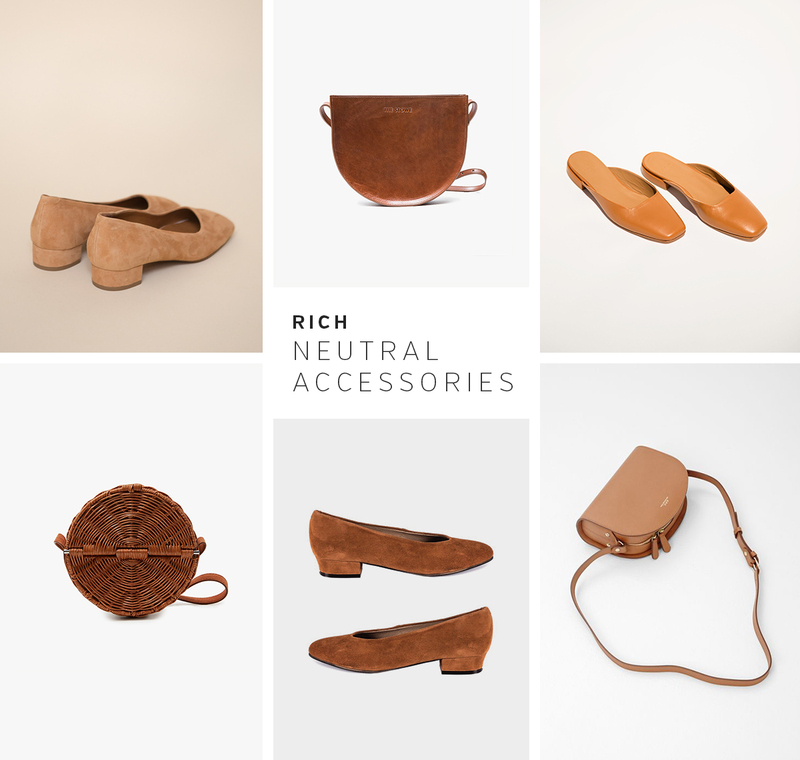 I’ve been dreaming of a pair of cognac or tan flats for a long time now. I have a couple of menswear inspired flats which I love but I’ve been feeling a need for something a bit more refined and feminine. Something I can pair with my Georgia Midi or 19th Ave Dress for a more lady-like look. Luckily this spring yielded a few great options. BY Far (Top left) | These beauties were the first to catch my eye earlier this season after I saw ByFar shoes popping up on all my favourite style muses. They also make a seriously dreamy ankle boot which I may have already penciled onto my Fall wish list. | $287 USD | Consciously made in Bulgaria using deadstock leathers. More about the brand here. 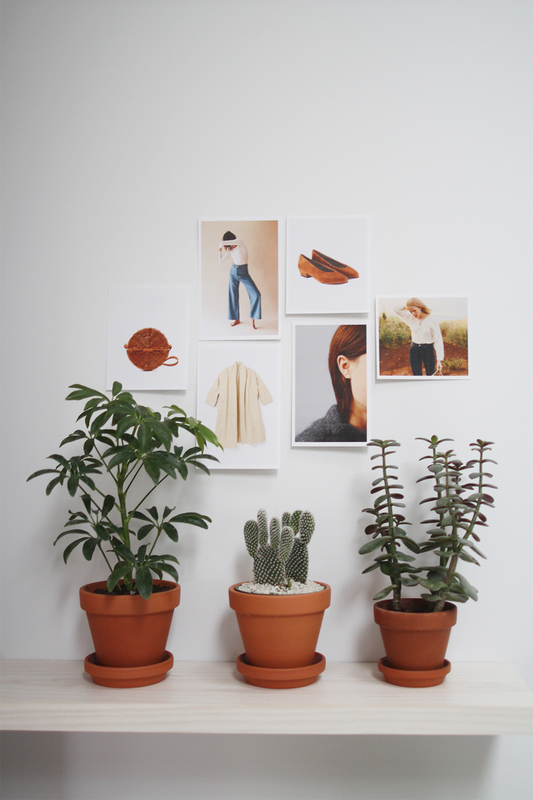 L’Intervalle (bottom middle) | This Montreal based shoe brand has intrigued me for a few seasons now but it wasn’t until I saw them in person that I was convinced (a friend has them in black). They are seriously so beautiful and well made it’s incredible! I’ll confess I took the leap and ordered them knowing they were handmade in Spain and little else but I hope to learn more soon. | $138 CAD | Made in Spain. More about the brand here. I don’t buy new bags very often but I know a brown cross-body bag in a statement shape would go a long way in my collection. I love my oxblood vintage cross body (seen here + 1000 other times on the blog) but it’s quite small and my current wallet has a tough time squeezing in there with anything else. Once I’m ready to upgrade, I’ll be choosing something with a more unique shape. These three are on my radar (especially the first one!) but I think I might wait until Summer or Fall to add another bag. 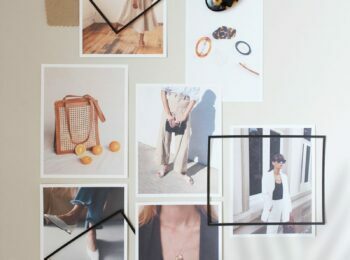 Rachel Comey (bottom left) | Well it doesn’t get much cuter than this little circular wicker beauty. Leave it to Rachel Comey to combine a bizarre material with a crazy shape to make the perfect Spring bag! Not sure that this one would truly solve my space requirements but it’s a beaut! | $472 USD | Made in the Philippines | How responsibly I can’t say but Rachel Comey has a great reputation for sound production practices and very high quality products. Many wicker goods are produced in the Philippines due to the availability of raw materials and expertise. I’ll admit it, I’m addicted. 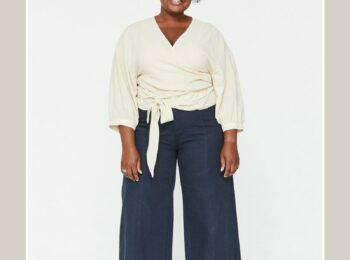 I’ve just never felt the way I feel in wide leg pants before and I dare say this is going to be a forever style for me. For some reason I feel slim, elegant and confident when I’m in either my Kamm Pants or my Florence Pants. It’s something about the bold but classic shape that’s unexpected but feminine and flattering all at once. I know they’re not for everyone and a lot of people think they’re wack but to me they’re the cat’s pajamas and I can’t seem to get enough. 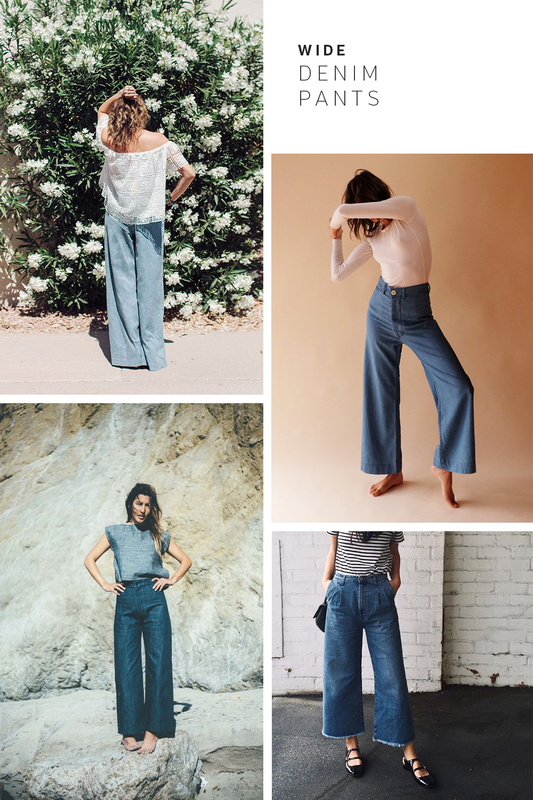 So with that, I’m on the hunt for a perfect pair of denim wide leg pants to add to my collection. I’ve been loving the statement earring trend we’re seeing lately but being a girl who wears glasses 98% of the time I know they’re not the wisest investment. Too many accessories is not my jam. 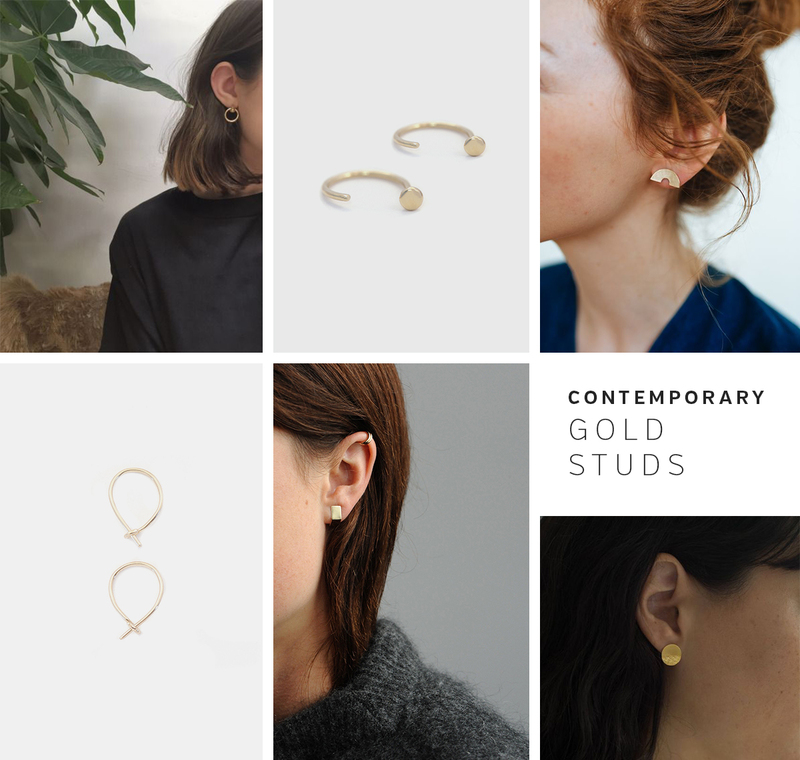 Instead I’m thinking I’d love a pair of gold studs that are a little more bold and contemporary in shape but still timeless and not too big. Luckily, there are lots of great options that fit the bill! ATTIC | The ladies that created my engagement ring are geniuses when it comes to updated takes on classic forms. Three of the options above are by them and I know I’ll find the perfect simple studs I can wear non-stop for the season (and years to come). If you haven’t scoped ATTIC out yet, definitely do! 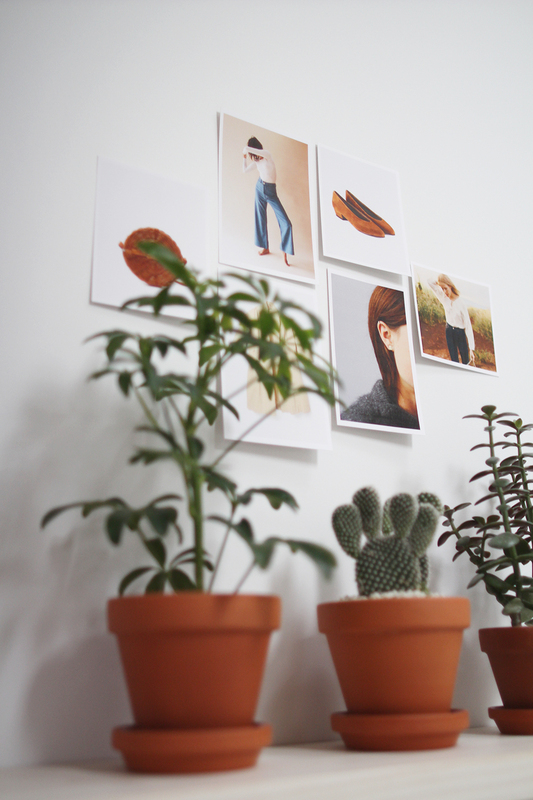 | TOP CENTER (faves! )| LOWER LEFT | LOWER MIDDLE | All made in Canada using recycled gold. So there you have my Spring Wish List in all it’s glory! If I’m cautious I can still come in on budget but I’m taking a deep breath and waiting to see what Elizabeth Suzann has in store before I get ahead of myself! What’s your approach to shopping and deciding what to add? Are you a slow and steady shopper or do you get it done in one go? Do you use a wish list? If so, I’d love to know what’s on yours! This post is not sponsored but when you shop via some of the links above I may make a small commission from a sale. Thanks for supporting the brands that support Style Bee! Have you ever written a post about “where to start” for those of us who are new to the conscious closet living? It’s hard to know where to begin and what to invest in first, with so many things on a wish list that is higher priced for the quality items it contains.. I know there isn’t any specific formula for this, but some sort of suggestion/guideline for basics to invest in first when you feel like you are starting over with your wardrobe and it’s a slow start (because of $$) would be so appreciated. I have a hard time figuring out what to put my money towards first, when I look in my closet and see SO many holes and basics missing. Thanks in advance, and love what you do and have to say and share! It’s not that you just THINK the wide pants suit you well..I think it’s the garment that make you look best, comparing to every other look you show us. They just look so great on you. Makes me own some as well, until I realize it would show my biggest area most, but you…go for it! I have a long wish list but I decided a while ago that I would only buy 1 item per month. The funniest thing is that I want to repruchase some things because I’ve wore them so much that they look quite worn out but I really love them. So maybe I will just renew the pieces that I’ve worn the most! I love your list. I have been working on my Spring Wish List and have bought the Kamm pants in tobacco already. My next purchase may be the Kamm pants in chambray. They are very tempting. I agree that the high waisted wide legged pant is flattering and elegant. Also I am looking for some tops that are not T shirts. That Mystic Top and T-Top are gorgeous. I will check them out. Thanks for the awesome post! I’m on the hunt for a medium size brown cross body for an every day bag and love the Eloise but I’m worried it isn’t big enough for my needs. 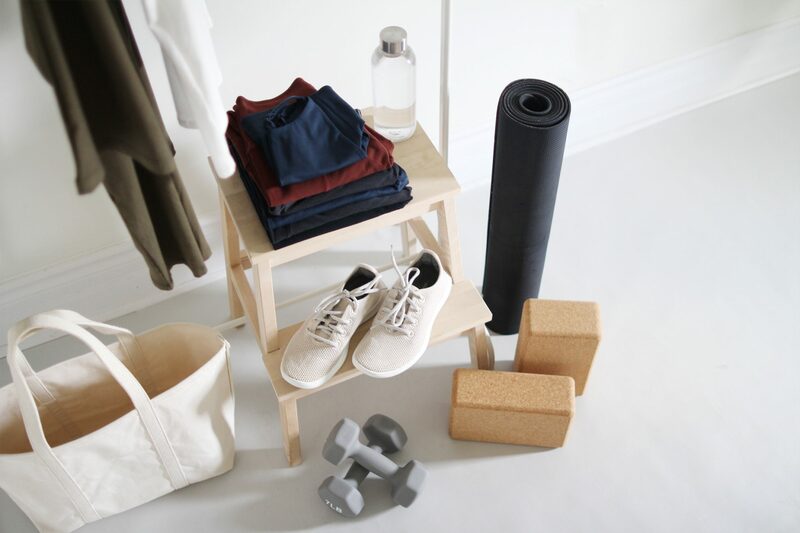 Would you consider doing a post or insta showing what you can fit in your Eloise? 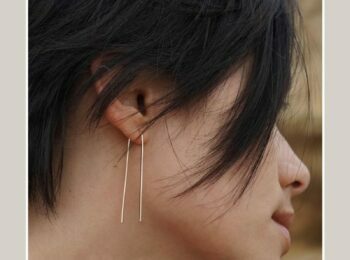 I also love the Juliette and it is bigger. Thanks! I love the notion of not settling. I personally do that with my wish lists. But if I do find something better I will break that rule. It’s just a great guideline in general to spend smart! 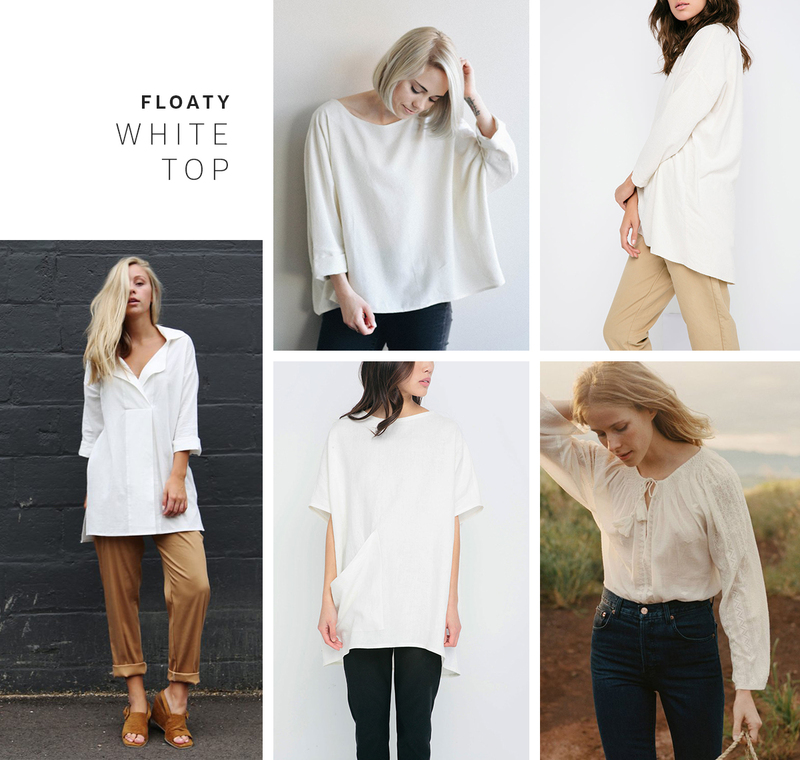 I love the tunic with lapels in the furthest-left photo in the floaty white tops. Do you have a link to that? Thanks for your beautiful style! 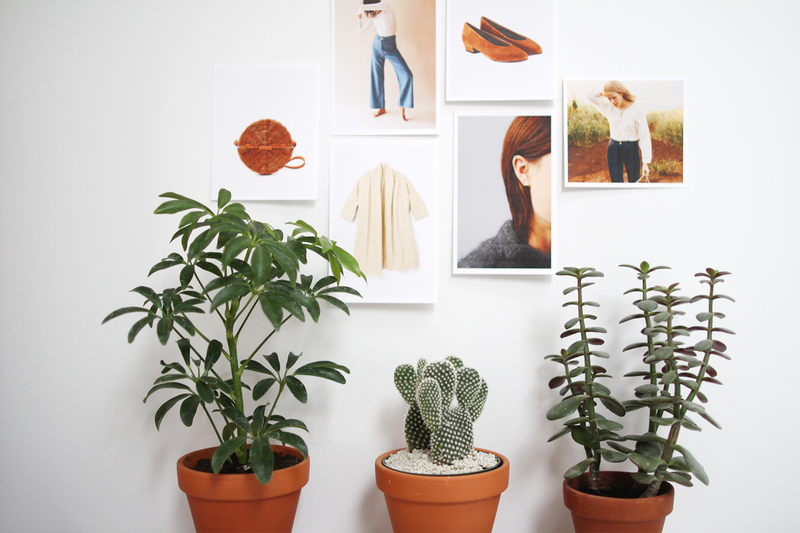 Hi, als always an inspiring post to keep me off impulse shopping. Creating regular wish lists has helped me a lot. I even do wish lists when I go out shopping with a friend and I stick to it. I also have a wishlist on amazon (not only for clothes), and I regularly delete things from it. Yay for wishlists! Please share what you find out about l’intervalle… I’ve also been looking at the brand for a while and want to know more! Great question–I’d like to get a second-hand, black, flow-y wide-leg jumpsuit! I’ve resisted because they are hard to fit right without trying them on (I do a fair amount of shopping on ebay and poshmark , since I’m trying to buy used or responsibly) and I worry that I wouldn’t wear it much (more as a special occasion piece). How do you handle that, Lee? 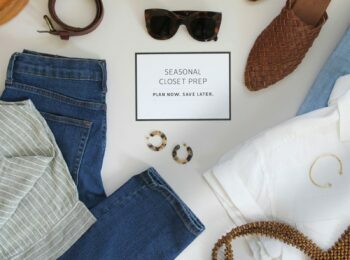 How often is “regular use” in your wardrobe–once a week for a season? Less? More? I feel guilty when clothes in my wardrobe only get 3 or 4 wears per year, so I hesitate to bring in items I can’t see myself wearing weekly… Some things, I do wear weekly (like, my pants and my black ballet flats), but others (like a few of my sweaters) only got 3-4 wears this winter! Love the photos–they are so artistic! I feel you on “no more black”. It’s my favorite basic/staple but I am ready to lighten things up for spring! I have small children and I nanny, too, so my list is always simple for spring and summer, which I plan all at once. This spring/summer, I’ve committed to secondhand, and I need three t-shirts and three different types of shorts, to complete my capsule until September. I do have a gift card for Elizabeth Suzann, after returning the Eva Top. I have black linen Florence pants and love them, but don’t know what else to choose! I might wait until fall to purchase something else. Also, for spring and summer, I’m tempted to get a new pair of sneakers and a pair of Pons Avarcas shoes! Hi lee love this post! Particularly love the tan shoes. I had my eyes on the ceri Hoover ones from last fall but they didn’t have my size in the end. Just curious, I know you have the Mara tunic in white — does that not fulfill your tunic wishes? I love how you style it and wish I had bought it! I love this post! I have a much similar shopping process to you (when I’m successful, at least), but you’ve organized it in such an eloquent and visually beautiful way. I tend to collect wish list items on a private Pinterest board, where I can easily “comparison shop,” and also easily forget about them. It helps me sort out what’s an unnecessary impulse, because I usually won’t forget about items that I truly want/need, even if they’re tucked out of sight. I’ve also started imposing some guidelines on myself: no dresses for a while (as much as this is an impulsive shopping weakness for me, I don’t wear the ones I have that much), always try to find what I want from secondhand sources first, and give it time before purchasing anything. I also love to try to create hypothetical outfits with what I already own. That can clarify immediately how versatile something will really be! I have the ES Harper Tunic in the black raw silk (before my “no buying black” hiatus) and totally endorse you buying it in Eggshell! I wish I would have purchased it in that color (I’m not a duplicates gal otherwise I would have), but I have a hard time with white tops — they always end up looking/feeling sloppy on me and I worry about getting them dirty since I work with kids all day. But anyway, it’s one of my beloved pieces in my wardrobe and the raw silk is of course amazing! I got fabric samples today for the pieces I want to make and think I have chosen fabrics and patterns for a pair of wide pants (in raw silk) and t shirt dress (silk/linen mix). Now just I have to decide colours to dye the fabrics. I have the silk Harper Tunic from ES and I absolutely LOVE it (in fact I’ve ordered it in black even though I am trying to curb my buying in multiples habit- DANG IT!) but if you don’t already own a piece in the eggshell raw silk, just know that the color is less of an ivory and more of a muslin, if that makes sense. 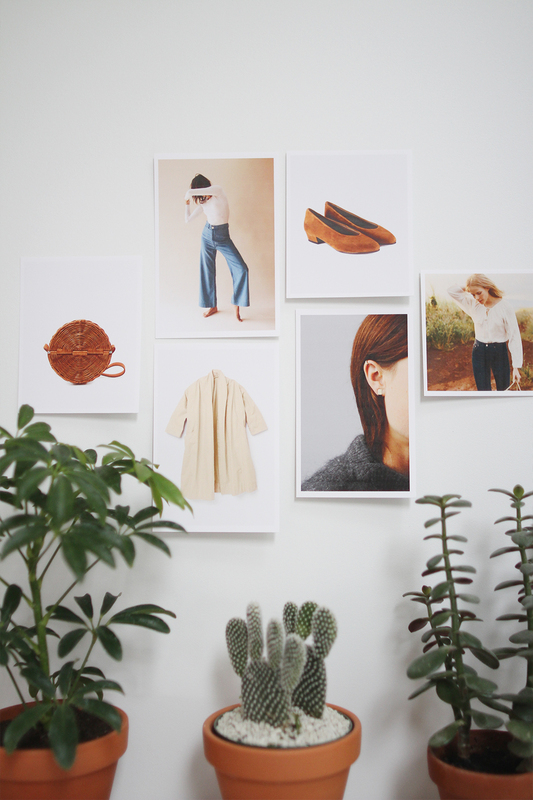 I have the same long Everlane cardigan that you do and the color is like a teensy bit darker and a tiny bit more tan. I’ve still worn it dressed up for work with black pants and heels, but in my opinion the color is best suited for my perfect summer jeans. I have also ordered the short sleeve linen Harper in white; this style is the clothing equivalent of my spirit animal, I cannot get enough. This post + the shopping triggers post + shopping fast post together are so helpful! For me the best lesson from all three is to NOT SETTLE– to truly treat my wishlist as a dream list– that’s the best way to buy things that don’t add to the clutter / dissatisfaction / shop again cycle. I actually just returned an item that I know isn’t good quality because of this post. Super inspiring. This list is insanely good and so on trend! I thought I’d share some of my purchases just in case someone else can benefit from the info. I purchased the Caron Callahan wide leg chambray pants and have been wearing them more than I thought I would. They’re very similar to the Kamm pants except that the material is thinner and more flexible. After eyeing the glove shoe for months, I finally bought myself a pair in black and couldn’t be happier. They are single handedly the most comfortable shoes I’ve ever worn. I will not lie and say that they are attractive, however. My husband hates both the wide leg pants and the glove shoe and calls the shoes my granny slippers. As for the trench, I purchased an EF gray linen trench and ended up returning it because the color wasn’t right but the material and length were so good. 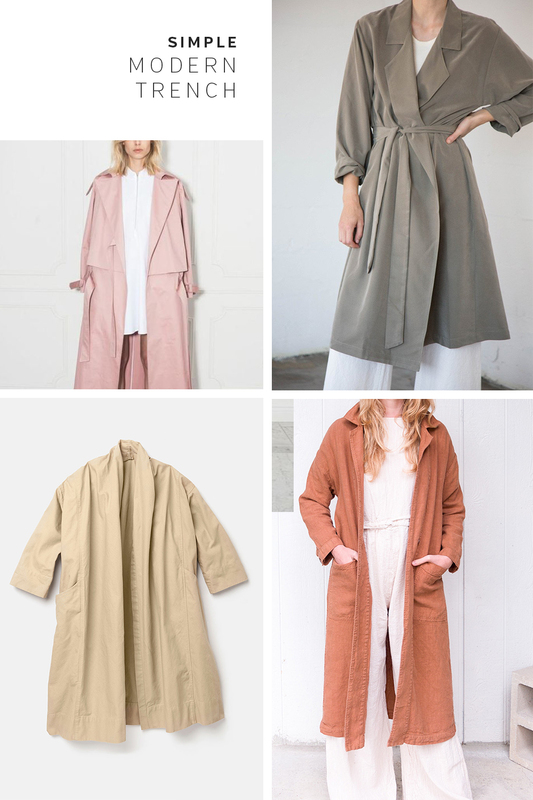 I’m on the look out for a natural or flax linen trench in a neutral color and am hoping someone has some suggestions. Another item on my wish list is a neutral pair of sandals. I’ve been thinking about getting a pair of Bryr sandals in the nubuck blush but am afraid of ordering them because I have narrow feet. Did your clogs work out well for you?